Allowing businesses to engage, empower and educate their target audiences through digital signage. We live and breathe Digital Signage Solutions. Our team of industry experts understand the technology and what it takes to make your digital signage network successful. For more than 25 years, we have led the way in developing creative and innovative solutions to help you effectively engage your audience. 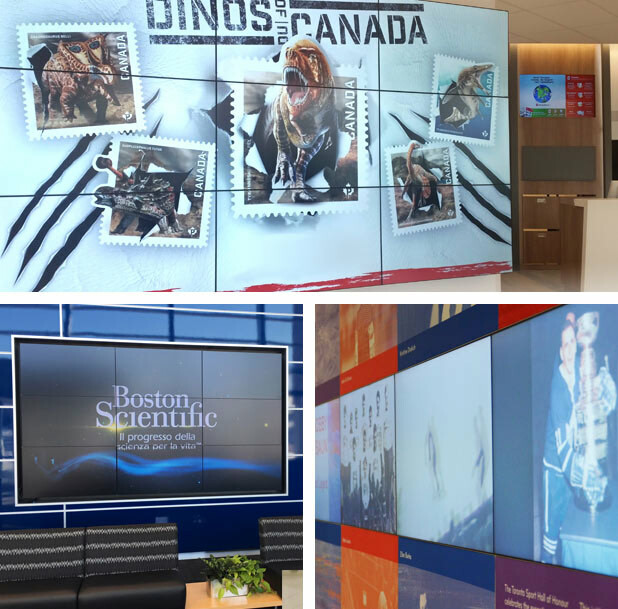 Our innovative approach and product-firsts have propelled us to the forefront of the digital signage industry. We continue to transform visual communications, delivering information and personal interaction tailored to a viewer’s specific wants and needs. Our continuous innovation integrates the latest advances in both technology and business metrics to deliver what we believe is the best Total Cost of Ownership (TCO) in the business. "As the lead contact and user for our agency’s digital signage; I cannot express my appreciation enough for the excellent technical support extended by your company. The support desk has always been responsive and on-point when I have needed assistance."